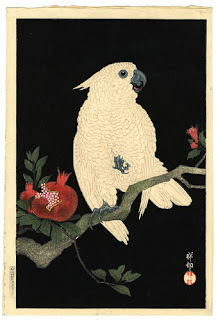 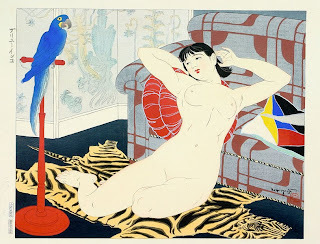 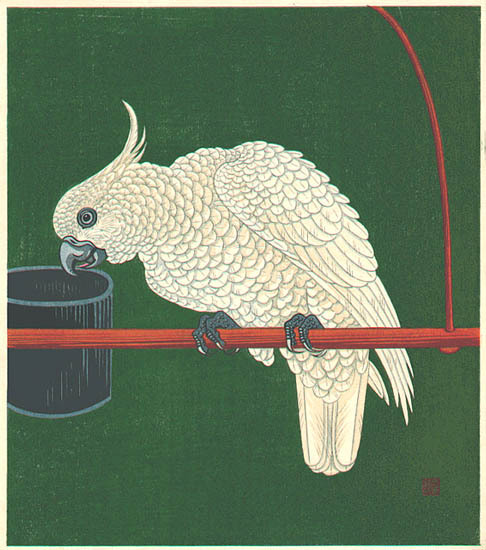 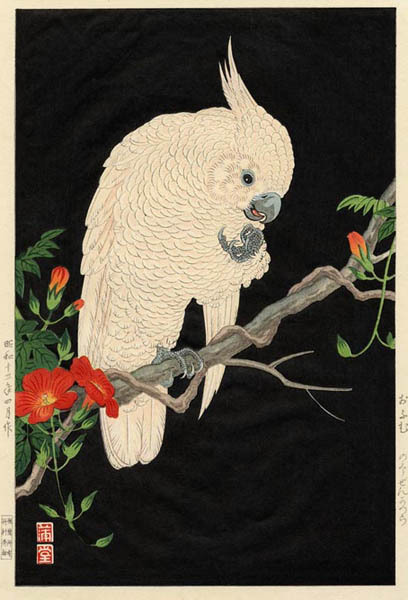 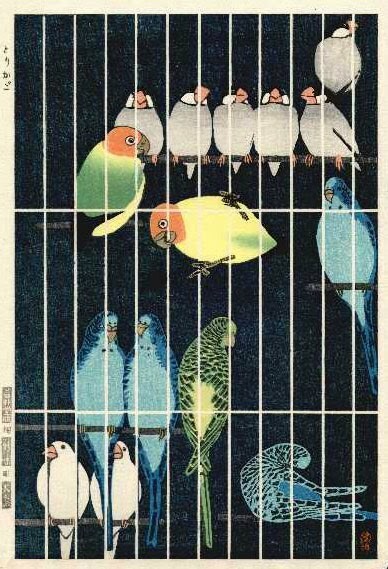 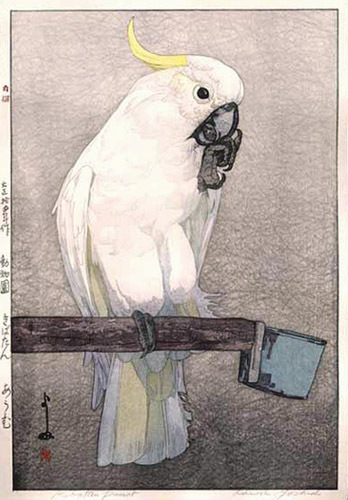 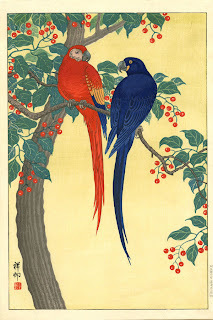 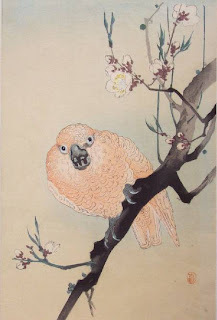 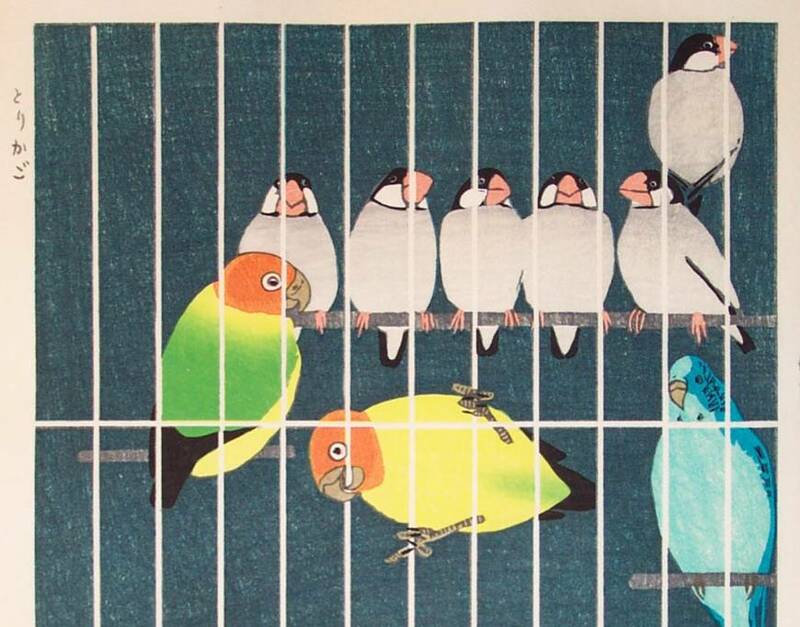 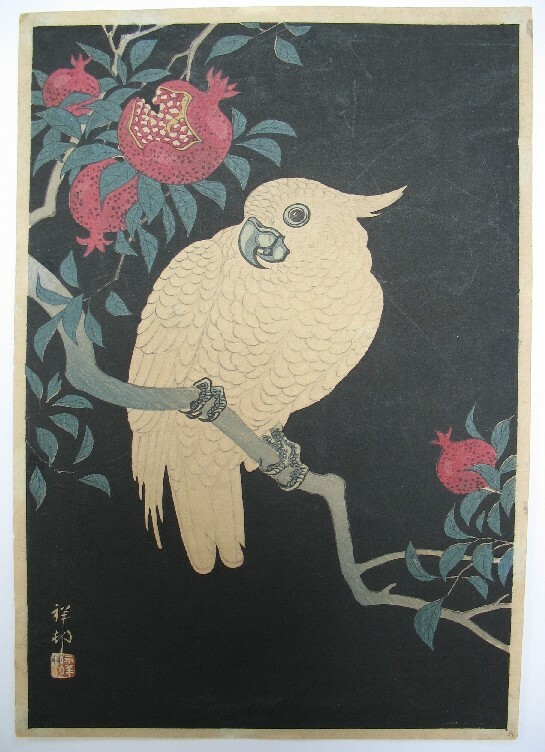 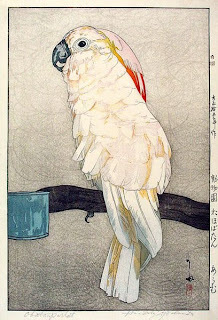 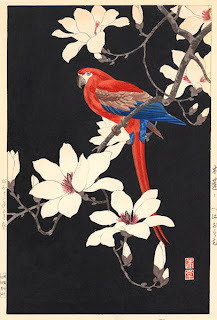 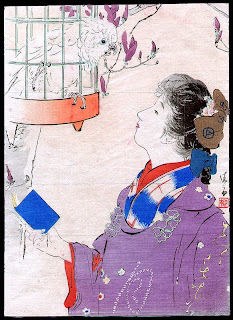 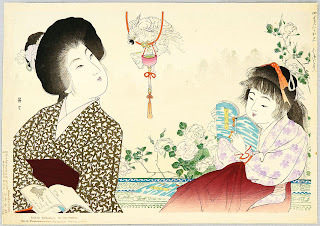 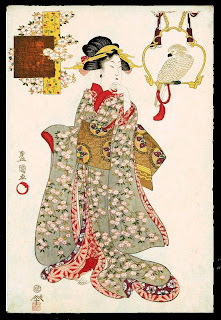 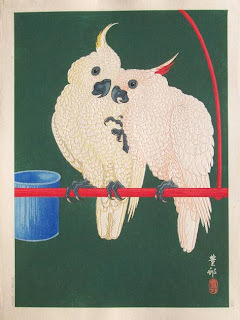 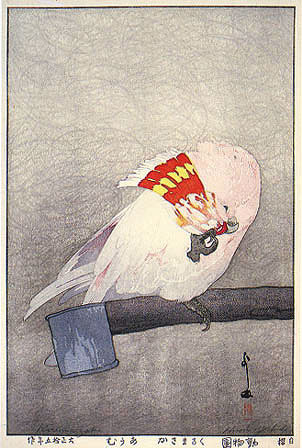 Parrots and other exotic birds were a favorite subject of shin hanga print designers. In many of the prints pictured below, the birds are delicately perched atop a beautiful flowering branch. 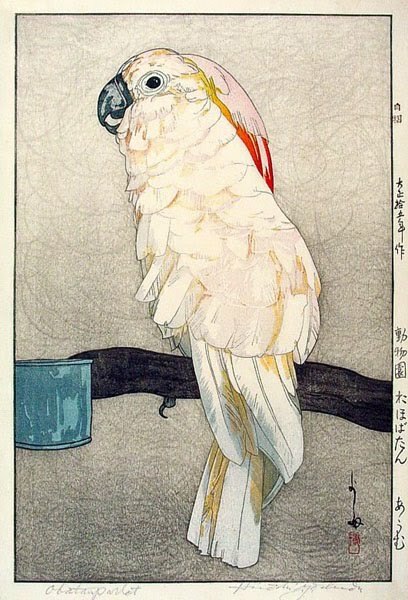 These compositions, more romantic than realistic, are typical of shin hanga kacho-e. A few prints, such as Kurumazaka by Hiroshi Yoshida, depict the birds in more natural poses.